Planting InstructionsPlant in a location protected from strong winds. 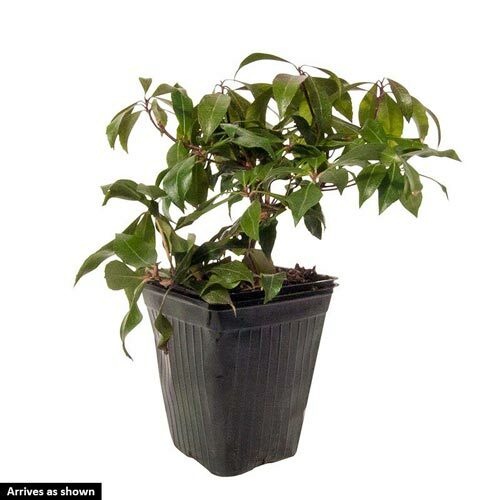 Set plant at the same level it is growing at in the container, firm soil and water thoroughly. Winter CarePrefers a sheltered location. Apply organic mulch to maintain soil moisture. Don't allow to dry out. Flower FormSmall, bell-shaped flowers on arching racemes, 3-5" long. 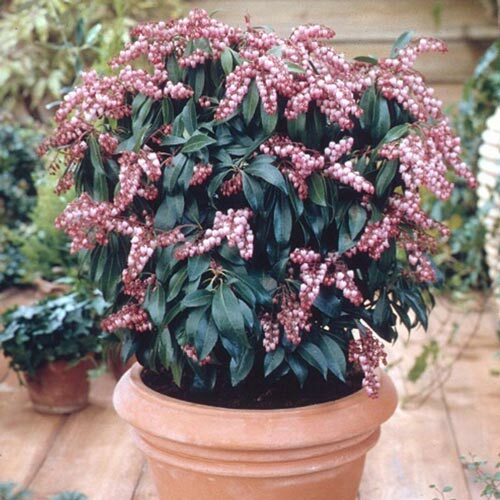 Foliage TypeEvergreen with attractive, glossy, burgundy-red new growth spring through summer. New growth matures to lustrous, dark green. Leaves are narrowly obovate to elliptic. Soil RequirementWell-drained, organically rich, moisture retentive, acidic soil. PruningPrune to maintain a desired shape, if necessary. Remove any dead or broken branches. After flowering. Unique CharactersticsRare Find Nursery: Deep wine-red new growth continues to emerge throughout the summer, turning to bright glossy green leaves with good red fall color. 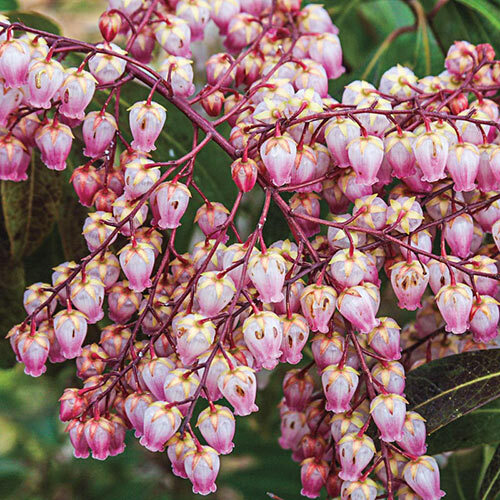 Long racemes of rose-colored flowers cascade over the evergreen foliage, radiating with a sweet floral scent. Compact habit. Prefers shade and moist well-drained soil. Great for containers on a shady patio!